The following information will form the core of my 2 lectures at the California School of Podiatric Medicine at Samuel Merritt Universitty in Oakland California November and December 2016. Each lecture is 2 hours in length. The links to my blog are for your advanced learning. The questions in red are for the midterm or final and will be part of multiple choice questions. If you can go through it all by yourself, or in groups, you will have a good understanding of some of the basic concepts of sports medicine. But, to get us going in our discussion let us talk about some generalizations based on a patient presenting with heel pain. First of all, you want to always place a patient, new or returning, into their appropriate Phase of Rehabilitation: Immobilization Phase, Restrengthening Phase or Return to Activity Phase. This is huge, and can change from visit to visit based on reflares, etc. Here are 3 patients with heel pain. Heel hurts at 3 miles into running and a lot each am. Which Phase? Heel hurts with every step all day long. Which Phase? Heel hurts in bed, when doing certain exercise, and sometimes not at all. Which Phase? Which of these 3 patients can continue to run? Which of these patients most likely needs an MRI? Which of these patients is most likely to have neuropathic pain? This is where podiatry excels. When patients have pain with weight bearing, you need to get that pain to a 0-2 level. This is considered Good Pain, and the goal of most treatments. It must be achieved, and maintained during the rehabilitation process for ultimate success. Protected weight bearing with pads, orthotics, shoegear, removable boots, wedges, etc, can be the difference between success and failure. A situation may demand a removable boot, but you must make sure that the boot achieves what it is designed to do, driving down the pain into an acceptable Good Pain level. The more weight bearing without pushing the pain into the Bad levels (3-10) that less swelling, the better muscle, ligament, and bone strength is maintained, the faster the overall rehabilitation. Non weight bearing an injury is necessary at times, but always try to have protected weight bearing as the drug of choice. How are the 3 types of pain treated differently? Some patients will present with one, two, or all 3 types of pain all at once. It could have started Mechanically Induced, but developed an inflammatory and neuropathic side. Podiatry is wonderful at dealing with the mechanics on the lower extremity that causes injuries, but you need to know where the stresses go when you fit into one of these categories which can be screened on a good Gait Evaluation. I am always looking for an mechanical cause or aggravating factor that I can change to help a patient. I personally continue to work on the mechanics, while seeing if inflammatory treatments help. Neuropathic problems, like double crush and radiculopathy, are probably the most misdiagnosed. It is important to understand the concept of "Weakest Link in the Chain" for one patient who over pronates injures the plantar fascia, another the posterior tibial tendon, and another develops "Runner's Knee". The mechanical fault is the over pronation, but some one or two other factors have lead to the pain showing up in the foot, ankle, or knee. What is Double Crush Syndrome? If pronation can cause a lot of problems, what might set someone up for posterior tibial tendinitis? The parsimony principle is basic to all science and tells us to choose the simplest scientific explanation that fits (all) of the observed evidence. Amazing how often this is ignored in medicine. We go after looking for a zebra when 5 horses stand in front of us. Learn how this law applies to every injury you treat. How do you treat swelling? How do you treat tingling? How do you treat joint stiffness? How do you treat muscle weakness? Most injuries you will treat are overuse as a sports medicine specialist, different than acute, and very important to make sure you know which one it is. Acute can have one cause, overuse I always look for 3 causes. So, in your podiatry training, you need to learn the top 5 overuse causes of any injury. For example, when you make the diagnosis of a stress fracture in a runner, what are 5 common causes in this overuse situation? Biomechanics that set up the injury (ie. supinators get fibular stress fractures and pronators get tibial stress fractures). We are in an age of high tech, but KISS is typically the starting point of treat. It probably is not the big money maker for a practice, so ignored too often. There is also a concept of Implied Need, sometimes real, sometimes not, but typically should be honored. Implied Need can come from the patient or doctor. If we were to categorize injuries by need, they would be mild, moderate, or severe. So much depends on your experience, but your patients can help you. Is this an injury that KISS applies or should we pull out the big guns right away, or something in between. If you order an MRI for an ankle sprain, is the Implied Need doctor or patient driven? Because of KISS, I am a big believer in learning the simply tools that can help. 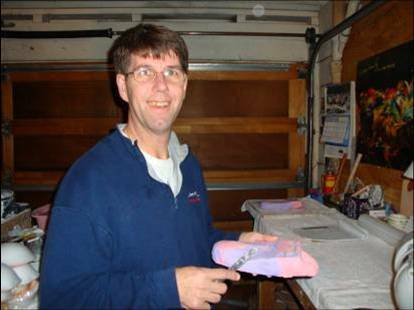 Many believe I am an expert on custom made orthotics, but because so many of my patients need KISS principles, I am also need to be an expert on OTC arch supports. So, before we get into the solid aspects of the lecture, try to learn topics in 3 levels: Simple, Moderate Complexity, Complex. Most sports medicine doctors know the complexity of surgery, but only the simple forms of teaching strengthening, flexibility, orthotic therapy, rehabilitation. Each aspect of treatment has these various levels that you will need to learn. I learned early on in sports medicine, a simple change in one treatment variable can be the difference between success and failure. patients. I inform my patients if their insurance company will not cover something I think is important or crucial to them getting well. You have to be brave to fight the insurance battles. However, you will have initial protocols to treat things, you just need to be able to change them when the patient is not responding. Protocols can not be rigid. 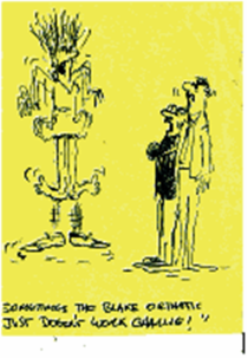 I would be remiss to not mention the Golden Rules of Foot. These are the Rules I learn by. I accept that they can give me some element of tunnel vision in some cases. But, Golden Rules are different then other rules, they are not to be broken. They are on that level. If I can teach anything to students of deep meaning, it is to develop your own Golden Rules. Typically, they are not merely guidelines, but solid rules of the podiatry landscape. I have 100 of them or so. After practicing medicine for 35 years, that means I developed 3 a year. They should be from your medical soul. One example: Golden Rule of Foot: In treating heel pain, the orthotics prescribed should be borderline obnoxious in the arch to transfer weight adequately. What is a golden rule of stretching? What is a golden rule of bunion surgery? What is a golden rule of posterior tibial tendinitis? 1) What are some General Types of Injuries commonly seen in podiatric practice? First of all, What is Sports Medicine? And why is it a fun way to practice? Acute Injuries --- Generalizations: When is an injury acute, sub acute, or chronic? Understand Good History Taking (have a consistent system of questions). Understand PRICE What does PRICE stand for? What are the goals of PRICE? Rest is a 4 letter word--Activity Modification is better way. What are common Activity Modifications for an Injured Runner? Elevation is always good, even only a few inches off the ground. When should someone elevate the foot of their bed for sleeping? With acute injuries, what phase of rehabilitation are they naturally in? When do you ice for an acute injury? Chronic Injuries--what most of your patients will be dealing with. Injuries over 2 months old. What is a Plateau in Symptoms? Understand Magic 80% Rule What does 80% better mean to an athlete? When is Bad Pain felt for a runner? Sprains What is the difference between sprains and strains? Second Degree--ligaments partially torn (some ecchymosis) Why do 2nd degree sprains hurt more than 3rd degree sprains at times? Why can some ankle sprains, without breaks or tears, take 2 to 3 years to heal? 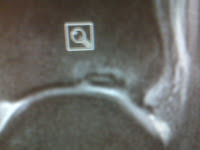 The ligaments do not repair on their own!! Why are most ankle sprains not casted acutely? Strength must replace loss in ligament integrity What is the Romberg's Test for ankle instability? When balancing on one foot, how long do want to do it for? Why do you try to close your eyes? Can Achilles Ruptures be treated conservatively? Tendonitis is the tendon part of a first degree strain. If the pain is in the muscle, it is called a strain. If the pain is in the tendon, it is called tendonitis. Understand the BRISS Principle of Tendonitis treatment Why is the understanding of muscle function crucial in treatment of tendonitis? Overuse Injuries What are some possible etiologies? Always think 3!! The general concept is the the tissue injured is stressed higher than its breaking point (tissue threshold) and it either strains, sprains, breaks (like bones), or gets irritated (like nerves). Always think and investigate 3 causes of any overuse injury What are 3 common causes of plantar fasciitis? What are 3 common causes of achilles tendonitis? What are 3 common causes of metatarsal stress fractures? What is the Law of Parsimony? How does it fit into the KISS Principle? Fractures/Traumatic Injuries What are some common foot fractures? It is also very important to understand if the injury was merely accidental, or if there are reversible preceding events that can be avoided in the future. Like overuse injuries, it is important with all injuries to take a good history (we need to know how it happened, why it happened, and can it be prevented in the future) Why is it important to know Vit D25 levels in this regard? Traumatic Injuries can be bruises (contusions), sprains, strains, fractures, nerve damage, arterial injuries, or most likely a combination of a few of these. What is the difference between a stress fracture and a regular fracture? A better definition of a stress fracture is a fatigue fracture (the bone is fatigued from overuse and then breaks). So a stress fracture implies a fracture produced by overuse. A stress fracture also signifies a small crack not seen on xray, only the new bone formation is seen 2 weeks later denoting a healing response from the bone. However, this is partly untrue, but now part of normal lingo. A stress fracture may start as a small crack on one side of the bone, and become a complete fracture as the athlete pushs through the pain. A stress fracture may start as a complete break in the bone easily observed in an xray. So, to me, a stress fracture is any fracture, big or small, that starts by a history of overuse where the bone may be fatigued. What are the 4 stress fractures in the foot that a very slow to heal? What is the daily recommended dose of Vit D3? When do you place a patient with a stress fracture in a removable cast? What are the 3 Phases of Injury Rehabilitation? One of the advances in sports medicine has been the merging of the 3 phases of injury rehabilitation of traumatic injuries. The 1st phase is Immobilization/Anti-Inflammatory, the 2nd phase is Re-Strengthening, and the 3rd Phase is Return to Activity. Sports Medicine Principles have tried to blend them as well as possible for a quicker, but safe, return to full function. While the pain is resting in the 1st Phase, they are also doing some strengthening (at least proximal to the site), and some cross training cardio and some sport specific drills. And so on. What are the 6 basic types of strengthening exercises? What type is a calf raise on one foot? Here I have been asked to discuss some of the common injuries I see from a podiatrist's standpoint. Due to time restraints, only some key points are highlighted. Runs from the lateral pelvis, across the lateral side of the hip and knee, and attaches into Gerdy's Tubercle on the proximal lateral aspect of the tibia (in front of the head of the fibula). Can you find Gerdy's Tuberble on your right proximal tibia? Excessive Pronation causes the iliotibial band to rub across the lateral femoral epicondyle at the knee, or greater trochanter at the hip. Treatment includes correcting the biomechanics, icing several times a day, strengthening the hip abductors (core in general), and stretching alot. What is the lateral wall lean stretch? With limb dominance seen in Short Leg Syndrome, which side tends to get the ilio-tibial band strain? What areas do you avoid while stretching the IT Band with an Ethafoam Roller? 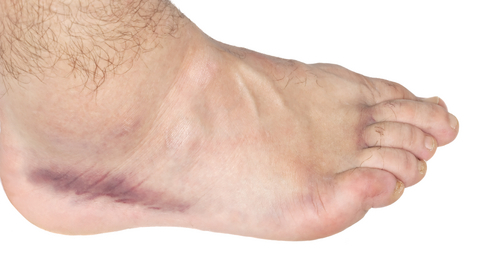 Probably the most common traumatic injury affecting the foot and ankle (so master this one). When a patient presents with an ankle sprain, decide if it is a high ankle sprain, low ankle sprain, rearfoot sprain, or midfoot sprain. What is a High Ankle Sprain? Understand the mechanism of injury, and the force of the injury, to understand the possible problems created by the injury (including fractures). An inversion sprain without a fall is better, an inversion sprain without rotation is better, an inversion sprain without coming down from a jump is better, an inversion sprain without someone landing on you is better. It is all about forces. Understand the forces generated by any sprain to predict severity. There is no right or wrong on xrays or MRIs. If it is black and blue, it means something tore or broke, so xray at least. If you think a tendon is torn, MRI immediately. 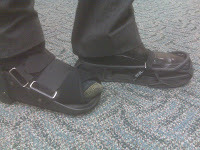 If the patient still can not walk in 2 weeeks after a sprain, even with a removable boot, get an MRI. Followup on ankle sprains is every 2 weeks. They should get better and better. If the patient plateaus, change something in the rehab, get a test, something. With the average ankle sprain, receiving average treatment, some symptoms of pain occur for 3 and 1/2 months, and swelling for 4 and 1/2 months. Return to running with an ankle brace can occur as early as two weeks. But, no limping is allowed. How long do you use just ice? As will be stressed in the links below, it is so important to restrengthen the ankle for around 3 months to avoid reinjury. Usually the next ankle sprain is worse. While restrengthening, you must get a brace to stabilize the ankle in vulnerable activities. What is one example for getting an MRI after a common ankle sprain? How is the Peroneus Longus strengthened differently than the Peroneus Brevis? What is the reason some exercises should be done with your eyes closed? These can be more stubborn than tendonitis since it is harder stretch out. Plantar Fasciitis (at the heel attachment) and Achilles Tendinitis (at the heel attachment) are good examples. Sever's Disease or calcaneal apophysitis is a growth plate injury. PTTD (posterior tibial tendon dysfunction) is a tendonosis (condition of the tendon itself). What is the 3 areas of treatment for plantar fasciitis? How do you strengthen the soleus differently than the gastrocnemius? Shin Splints vs MTSS vs Tibial Stress Fracture What are Shin Splints exactly? This is a great example of the Weakest Link in the Chain Concept. Leg pain arises from excessive stress placed on the leg muscles which will be outlined in the links below. The tendon causes the motion, the tendon moves due to the contracture of the muscles (in this case in the shin area), the muscles attach into the bone's covering called periosteum, and the bone resists the force pulling on it. In an overuse situation, the same action can produce tendon pain, muscle pain, periosteal pain (classic shin splints), or bone pain. The bone pain can get inflammed called Medial, Anterior, or Posterior Tibial Stress Syndrome, or can actually break (Medial, Anterior, or Posterior Tibial Stress Fracture). The injury occurs at the weakest link in the chain. What are the 11 common factors that can make an area the weak link in the chain? What are the 10 common treatments for shin splints? What are the 4 basic types of shin splints? The compartments are fascial enclosures which house several muscles. There are 4 compartments in the foot and 4 in the lower leg. The fascia which covers the muscles can be too tight for the amount of muscle hypertrophy or swelling within the compartment. As pressure builds up within the compartment, the fascia does not give enough, and the blood circulation in the compartment is restricted (the walls of the vessels are compressed due to this pressure). Acute Compartment Syndrome, normally produced by a blow to the outside of a compartment, is caused by the swelling in the compartment, and is a medical emergency. A compartment release is crucial to save the muscles from dying. Chronic Exertional Compartment Syndrome can be a diagnostic nightmare. Injuries in the foot or leg that seem to have a solid limit of activity (the pain can only run 3 miles before the leg pain gets bad) may be compartment syndrome. Compartment syndrome has always been a surgical treatment, but with deep tissue work, there is a promise in the future of conservative management. Diagnosis of Compartment Syndrome is needle catheter in the compartment to measure the pressure. Normal resting pressures are between 0-4 mmHg. Pressures that climb above 40 mmHg and stay there after activity is stopped is considered compartment syndrome. What do you think happens to the muscle strength in a compartment that has a release? Associated with Excessive Internal Patellar Rotation or Position produced or aggravated by the internal talar rotation with foot pronation. All patients with Patello-Femoral Dysfunction should be treated with core strengthening especially external hip rotators, Quadriceps strengthening especially VMO, Vastus Lateralis Quad Stretching, Knee Brace to better patellar tracking, and foot stability with orthotic devices, stability shoes, and power lacing. What is a stronger muscle the vastus medialis or vastus lateralis? When stretching the right quadriceps, it is best to use your right or left hand? What is Malacious Malalignment Syndrome and how does it relate to knee pain? Heel Pain: When does plantar fasciitis hurt more, am or mid-day? Myth: All Plantar Heel Pain is Plantar Fasciitis. You should be an expert on every aspect of these two common injuries, but very crucial to know when it is not plantar fasciitis and achilles tendinitis. They are so very common injuries that I see very sloppy management of heel pain. Too many generalizations are used that don't apply to that patient. 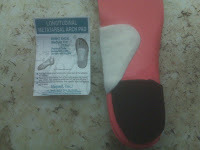 If I can get you a little ahead by understanding plantar fasciitis in the links below, it will be a start. Heel Pain is complicated at times, and very debilitated, and common enough to have clinics dedicated to that body part alone. 2 months of treatment for plantar fasciitis and the patient is not getting better, should surgery be considered next? True or False. After a plantar fascial tear period of cast immobilization, there is no need for physical therapy? What are 3 common adjustments made to sleeping splints? What are the 2 most important aspects of an orthotic device for heel pain from plantar fasciitis? What is the common denominator in all 3 stretches demonstrated? What is the difference between counting as you stretch, and taking deep breathes? If you ice for 5 minutes, how long does it take to have your soft tissues thaw out? Turf Toe: What is Turf Toe? Does there have to be turf involved? Turf Toe can occur to any toe, but primarily the first or second toes. The mechanism of injury is the toe in a cleated shoe gets stuck in the ground, the metatarsal dorsiflexes over the toe too far spraining, straining, and perhaps breaking things. Primary Injury is to the plantar surface of the joint, or plantar bones or tendons. Secondary Injury is to dorsal aspect of the joint with compression fractures, etc. Treatment is normally immobilization/anti-inflammatory, then spica taping, shoe inserts to restrict toe bend, activity modification. Budin splints can be used when the injury is to the 2nd through 4th toes. Since most of the injury is soft tissue, I would highly recommend an MRI sooner than later so you really have a handle on what was injured. What type of tape is typically used to limit first toe dorsiflexion? Can a Budin Splint be used for a first toe injury? One of the best recommendations I ever got from a teacher was to go out to the malls, the parks, the streets, and watch people walk or run. Boy do you see the full range of gait patterns. You can begin to appreciate smooth vs choppy gaits, or gaits that may produce problems. We will watch each other walk in class, just to get the basics down. I have built my entire practice on this skill. And in doing gait evaluations, you can learn what is wrong quickly. What are the 5 common categories of mechanical problems seen in gait? What are 3 common knee symptoms sometimes related to excessive pronation? What are 2 foot injuries associated with excessive supination? If the right shoulder dropped lower than the left in gait evaluation, what leg is normally longer in an adult? Is squinting patellae associated with genu varum or genu valgum? When dispensing a new pair of orthotic devices, why is it important to evaluate their gait? What are 3 positives of high heel fashion shoes? Where should your center of gravity be while running? What is limb dominance seen in gait? How is a decrease in limb dominance achieved? What are the 11 common injuries related to excessive supination? This same principle applies to dance, tennis, soccer, skiing, racewalking, zumba, etc. If you want to learn, experience. Be a student of motion. Motion is one of the secrets of life. Ask anyone whom has had it taken away permanently or temporarily. Ask any 80 year old what is one of the most important aspects of their life. Motion, to be moving, to keep moving. And there are rules along the way to obey to try to keep moving as long as you can. One of the things I am most proud of podiatry as a profession, it is dedicated to keeping people moving. Amen. As you treat injuries from different sports, gradually learn about that sport. If a ballerina comes in with an injury, learn alittle each time about her sport. What are the main producers of pointe shoes? 4) What is the best way for a podiatrist to be part of a SportMedicine TEAM? What is probably the most important characteristic of a Great Team? We have talked about what is sports medicine. And that there are sports medicine doctors that do not practice sports medicine principles, and non sports medicine doctors that do practice sports medicine since it is more of a philosophy than label. So, when you are in a sports medicine team, you must see where you fit in. I love the team approach to medicine, so this is what I do. I get my patients seeing other doctors and therapists as much as possible, and it works real well. If you are part of a team, try to be the podiatric part that understands when to get consults about nerves, etc, and how to treat knee or hip injuries with lifts or orthotic devices. Get the physical therapists as involved, or they may be in charge of you on a professional team. In the dugout or locker room, the therapist/trainors rule!! The buck stops with them. You need to inform them of your skills, but let them decide when you are to get involved. But, as a very valuable part of that team, you need to be the primary care doctor for their foot injury. The buck should stop with you! If you take on a patient, you should be involved in all aspects of their care (conservative or surgical) until they discharge you, or the injury resolves. I find many podiatrists not able to do this team function since they want to be too specialized (normally towards surgery). A good sports medicine team needs a podiatrist who is conservative in their approach, since 99% of all injuries are treated like that. You, as the podiatrist, are more skilled than anyone at the simple approaches to most injuries. My blog is filled with these treatments that I use daily with my patients. Don't give that part of foot care away. If you want to be the podiatrist for the San Francisco Giants, or New Orleans Saints, etc, but your main interest is surgery, please co-captain with a conservative based podiatrist whom you can trust to call you in when the big guns are needed. I can not emphasize the TRUST part. TRUST is everything in a team. If I trust you, our team works. If I do not trust you, the team will never work. Work hard never to break the trust of those you work with. It is the best advice I could ever give you. What are the general concepts in Injury Rehabilitation around return to activity? Since most athletic activities are based around running, a good understanding of the walk run program is crucial. What are the 10 levels of a Walk/Run Program? What are the general concepts in Injury Rehabilitation around cross training? Podiatrists, temporarily sidelining their runners in the 1970s, while the running injuries healed invented triathalons (like Al Gore invented the Internet!!). Cross Training is needed while injured and while healthy. Cross Training is an attempt to keep moving, but avoid injuries by working on other aspects of overall conditioning. A basketball player, like myself, may not be able to cross train by running, but yoga, stretching, bike, swimming, etc may all fill gaps in my overall health. If I am a basketball player that plays 4 days a week, my cross training schedule should not fatigue muscle groups that then limit my basketball playing. 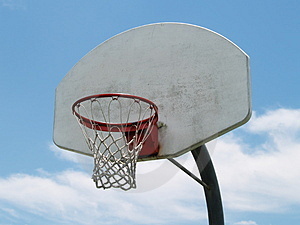 The cross training should relax, tone, improve my conditioning so that my basketball improves. Would an injured ballet dancer with knee pain get better cross training with running or swimming? What are the general concepts in Injury Rehabilitation around bracing and taping? You need primarily to brace and tape if you are permanently injured and the brace/tape allows some activity without pain, or if you are recovering from an injury, and you have not regained your overall strength yet. This is one of the reasons we want to get patients not of the casts as soon as possible (1 day in cast, 2 days to restrengthen). This is also one of the reasons we start restrengthening right after an injury. What are the general concepts around footwear considerations? Footwear is podiatry. And one person's best shoe ever, hurts another. Analyzing the qualities of shoes can and is as important as analyzing the patient's biomechanics. What is to practice Excessive Happiness? What are 11 reasons that the treatment plantar fasciitis can be different in all the patients you see? Why must the patient be encouraged to follow up with the doctor/therapist so that they are aware of their progress? What are the 2 categories of injury based on severity? And how is there overall success of treatment different? If you restart running, but pain returns, how long in general should you wait to try running again? A runner with medial knee pain for 5 days and excessive pronation noted in gait. What would be 5 KISS type treatments that may resolve the situation that you could recommend at the first visit? A patient was running yesterday and got sharp pain in the top of his metatarsals. He had to limp several miles back to his car. That night the foot became swollen. What is your primary diagnosis? What dietary issues should you discuss?